you need,Just reach us by info@thinkworldinteractive.com It’s fast and easy! Any chance for me to let you know my ideas ( My thoughts regarding the work ) ? We are online based designing agency who specialized for any kind of advertising and designing works from a simple logo work to a high class brand package, any kind of print works,or digital platforms. TWI can deliver any design request. Yes! You are our priority.We always accept your ideas.Therefore we have made a simple brief document,so you can write your ideas there with work requirements. In which format will I get final files? Can I request final files in the middle of the work process? How I can do the rest of the payment ? All files will come in JPEG, PNG format for checking purpose and Original PSD, Ai, Etc for printing or editing purposes.We can provide Print-Ready files also for special requests. You can get any of editable or final file upon full payment.As a policy,We don’t handover editable files on arrears payments. You can do the balance payment at the end of the job or in the middle stage.However you have to compleate payments to deliver final files. How I let you know work requirement? How many days it will get me to review the work? What about the revisions? Unlimited? Easy! We will send you a document which includes all questions regarding the new project. It’s so simple. You don’t need run here and there and collect information for us. We will send you simple question form (Brief) and it will save your time. We don’t like to keep you waiting. So we will ready your work for review within 24 hours for sure. You can ask revisions or discuss about improvements with us after then. Yes! In the first stage we will send you bunch of concepts to choose from. It’s really depend on the work we doing. We will let you know about revisions during our conversations. Because we all working together to see your happy face at the end of the work. 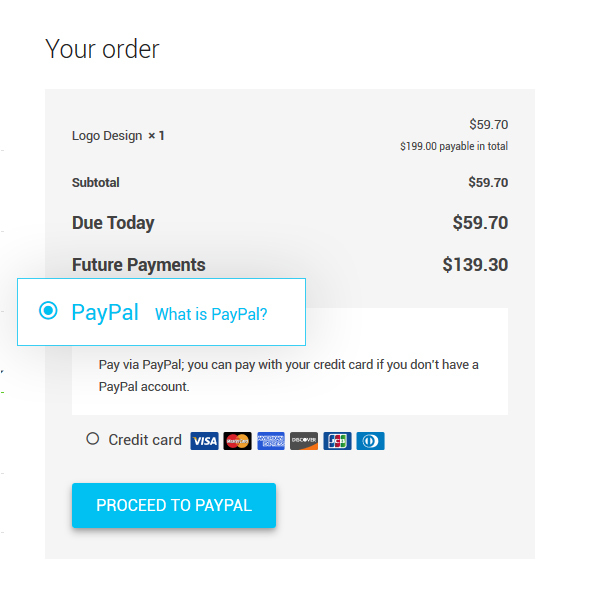 How I trust your site for payments? Is it secured? Yes we are! We have SSL Certificate. Please Click here So Your Data & Transactions are secured! 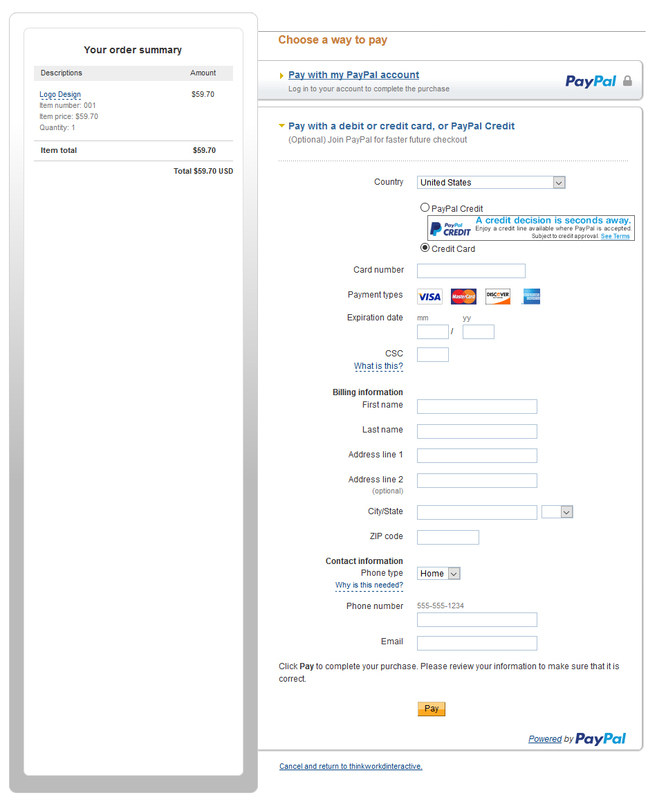 for the payment method at the check-out click “Pay with a debit or credit card, or PayPal Credit” OR “Don’t Have PayPal Account?” tab/drop down. You can make your payments via Visa,Master,American Express,Discover,JCB cards OR Diners Club at the check-out by selecting “Credit card” option. You can make your payments via Paypal,Visa,Master,American Express,Discover,JCB cards OR Diners Club. 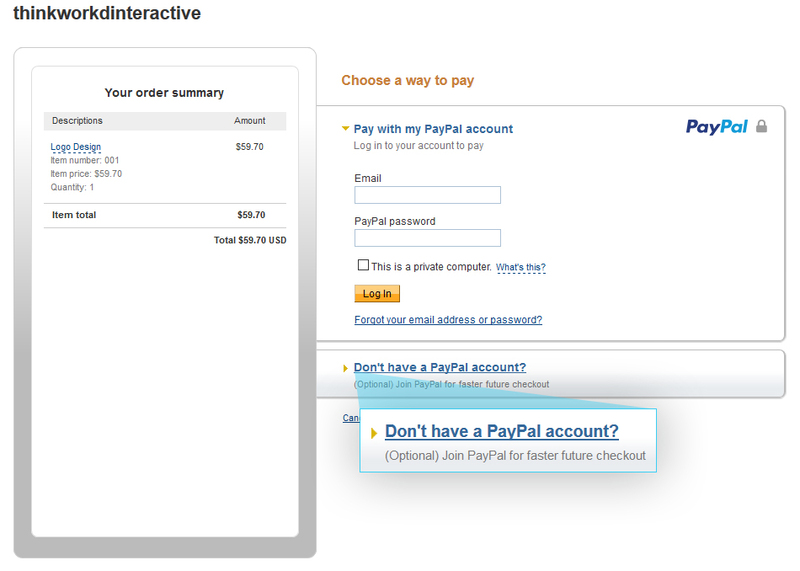 OR you can do same via Paypal, All major credit cards are accepted through secure payment processor PayPal.